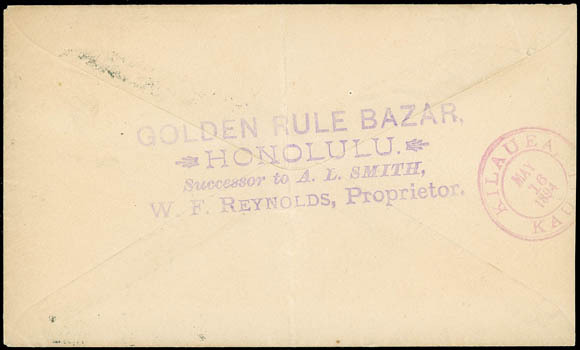 Golden Rule Bazar, Honolulu. 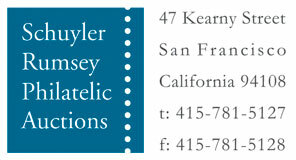 Successor to A.L. Smith, W.F. Reynolds, Proprieter., four-line purple handstamp on reverse of cover bearing 2¢ brown (75) tied by bold "Honolulu H.I. 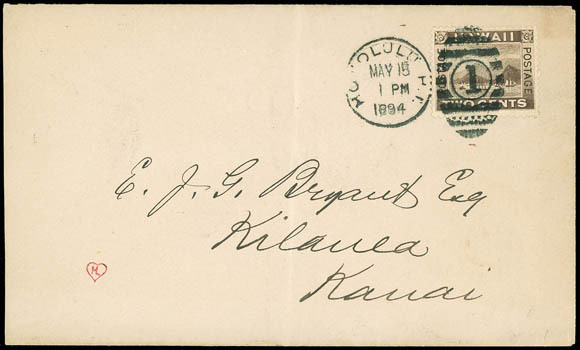 May 15 1894" to Kilanea, Kauai, reverse with "Kilauea, Kauai, May 16 1894" cds; reduced slightly at right, central crease, F.-V.F. Peters-Uota No. GRB-HS-1 Estimate $200 - 300. A link back to Sale 65 - Lot 326, along with its description, will be appended to your message.